South Africa’s natural beauty is well known all over the world and our national parks and game reserves are some of the most visited tourist attractions. Protecting our natural environment and resources is important and the survival of our threatened flora and fauna depends on it. It also creates jobs in the tourism and conservation industries which benefits our economy. Threatened or endangered species which is on the brink of extinction, should be protected from poaching and smuggling. At the forefront of protecting our natural resources are conservation officers or rangers. They care for the wildlife and protect them from poachers. Ivory and rhino horn are in demand and this causes our elephants and rhinos to become targets for criminals and poachers. Rangers, also known as conservation officers, game rangers or game wardens, work hard to protect wildlife and natural resources. They’re at the forefront of protecting our natural heritage. Rangers risk their personal safety and health to protect the natural environment of our province and country. 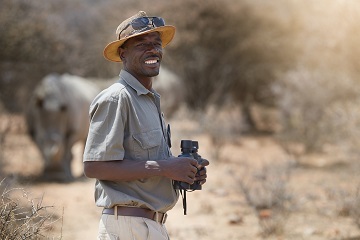 Guides (including safari, field or nature guides): They guide visitors through nature by foot, vehicle, horseback, etc. They act as a link between the guests and nature and help to educate those visiting game parks and other protected nature sanctuaries. Veterinary aspects of the wildlife. The invasion of alien plans. Law enforcement and anti-poaching duties. Environmental education and youth development. Survey and map alien vegetation. Conduct field and marine surveys. Degrees with Natural Sciences as a major. Please note: There are other organisations who also offer nature conservation and natural science tertiary training. Before you enrol, check if they’re registered and their qualification is accredited by checking the South African Qualifications Authority website. 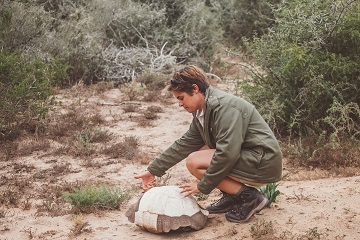 If you’re passionate about nature conservation and would like to volunteer your time in this field, consider applying for the SANParks Honorary Rangers programme. These volunteer rangers are based in 31 regions across the country and they work in the 21 national parks. Assisting at the entry gates. Raising funds for anti-poaching activities. Giving specialist advice on infrastructure and scientific projects. A rigorous process is followed to appoint new members. Find a SANParks Honorary Rangers Region which suits your location and interests. The contact person in the region will assist you with application forms and details about joining and then after attendance at a Regional meeting, appoint you as an applicant. Applicants are required to attend at least 1 compulsory course (The Role of the Honorary Ranger), which introduces the SANParks Honorary Rangers organisation, its code of conduct and how it functions. Once 50 hours of logged volunteer activity is completed (including 10 hours for the Role of The Honorary Ranger course) and after 12 months as an applicant, the region may recommend you for appointment as a full member. Perform duties in parks for which they have completed the necessary accreditation courses. Wear the SANParks Honorary Rangers uniform. Serve on a SANParks Honorary Rangers management committee and to vote in SANParks Honorary Rangers elections. Members are required to log a minimum of 50 hours (100 points) of activities a year to retain their membership. The work of nature conservation officers is important for our country’s rich biodiversity that’s currently under threat. Rangers make sure that our wildlife and natural resources are protected and preserved for future generations.